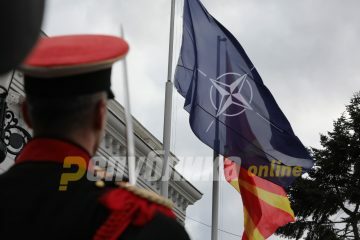 Dispute arose between President Gjorge Ivanov and the Government, over whether the President was invited to the NATO flag raising ceremony on Tuesday. The President’s office informed that the Government did not invite him and this is the reason why he was not there during the ceremony. 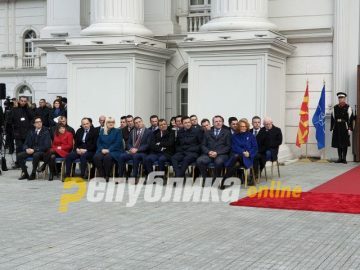 Government spokesman Mile Bosnjakovski insists that an invitation was sent by email and courrier in time, but Ivanov’s Office responds that it was sent only after the ceremony was over. There was no chair left available for the President, indicating that he was not being expected. Zoran Zaev mentioned all former presidents by name, but left Ivanov out of his speech. 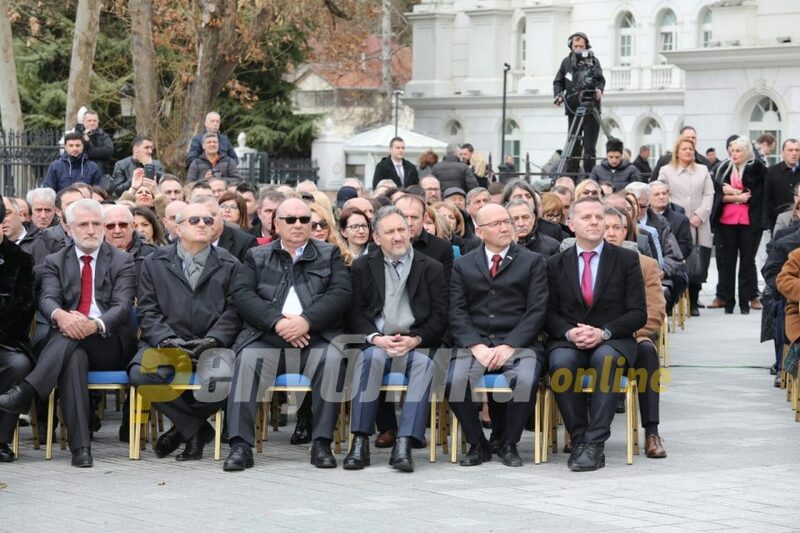 Former President Branko Crvenkovski also did not appear at the event, but there was an empty chair left for him. Very few citizens attended the celebration of NATO, and heavy police presence around the Government building, which was recently left without its protective fence, discouraged even curious passers-by. Opposition leader Hristijan Mickoski did not attend, and neither did DUI leader Ali Ahmeti. 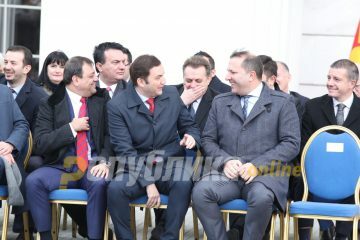 Former Prime Ministers like Hari Kostov, Ljubco Georgievski and Vlado Buckovski were sitting in the front row, and the rest of the attendees included current ministers and the diplomatic corps.